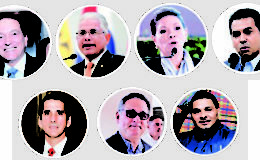 In the electoral race for the mayoralty of the capital district, four candidates are in contention, but two of them are competing for the leadership: Ricardo Martinelli (Cambio Democrático) and José Luis Fábrega (PRD). The first accumulates the sympathies of 25.3% of the electorate in the capital district, and the second, of 23.7%, with a small difference of 1.6%, which means that they are technically tied in the first place , since the sampling error of this survey is 4.6%. The independent Raúl Rodríguez (7.8%) and the panameñista Adolfo Beby Valderrama (6.1%) also share the second place for a technical draw. It is also worth mentioning that 21.9% of those interviewed do not know who to vote for or did not answer the question. The survey was carried out last week, commissioned by La Prensa , and was applied by the Spanish company GAD3 Internacional. 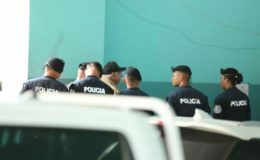 The ex-president Ricardo Martinelli -reflected in El Renacer prison, pending a sentence- would have a high probability of winning in the race for the municipality of the capital if the elections were held today. Martinelli (25.3%), however, has a strong contender: José Luis Fábrega (23.7), the man in the gas tank, who scores less than 2 percentage points below, a difference that falls within the margin of error, which in the Mayor’s Office it is 4.6%, given that the capital universe is smaller than the national one. Martinelli, of Cambio Democrático, has Deputy Sergio Chello Gálvez as substitute. At the same time, Fábrega, nominated by the PRD, has journalist Judy Meana as a formula mate . 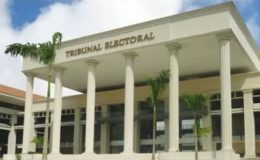 As in the case of presidential candidates, the ruling party, Adolfo Beby Valderrama (6.1%) – of the Panameñista Party – is in fourth place, below the free candidate candidate Raúl Rodríguez (7.8%). 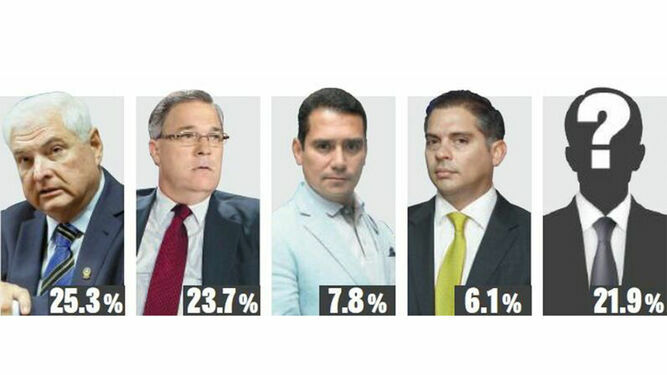 Following the line of presidential preferences (La Prensa, Tuesday, April 2), it is observed that respondents believe that traditional CD and PRD parties have a high chance of winning. In other words, the independents have managed to consolidate a significant number of votes, but, at the same time, they manifest a lack of faith about the real possibility that an independent will rise with victory in the Municipality of Panama. Also in this case, a high percentage of people who do not know yet who they will vote for (21.9%), compared to 15.2% in the case of the presidential ones, are striking. In addition, there is a significant number (15.3%) that states that they will not vote for “none”. The survey was applied – on behalf of the newspaper La Prensa – by the Spanish company GAD3 Internacional, SA, between March 25 and 28 last. The universe for the opinion study was 470 cases, with a margin of sampling error of plus or minus 4.6%. The system of random dialing of mobile phones used by GAD3 to conduct the one thousand 206 surveys throughout Panama guarantees the representativeness of the sample at the territorial level by four age and gender groups. In this way, it has not been necessary to apply weighting methods to adjust the sample obtained to the universe of study. In the 21st century, voters’ opinions are easier to access through their mobile phones than at home. In Panama, 90% of the adult population has a cell phone, which facilitates contact through this medium. For decades now, in other countries, such as the United States, it was decided to abandon the methodology of home interviewing and use the available technology to know the opinion of the voters. The telephone survey methodology (CATI) has proven to be more accurate in measuring the intention to vote in the electoral processes held in the last decade. In addition, it has been tested by GAD3 in countries such as Colombia and Spain.